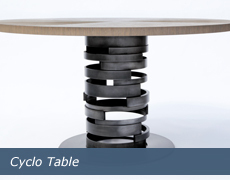 The Merge Dining Table represents the ultimate in flexibility. Its minimal steel base structure offers impressive structural integrity while allowing for an extremely open design. The absence of an apron translates into copious knee room for tall diners. 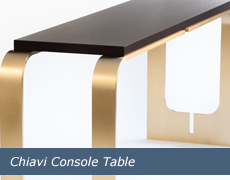 The asymmetry of the staggered leg layout provides support for a dramatic cantilever at the tabletop and yields fewer dining positions with leg obstructions. In addition, this design can easily transform for many different scales. 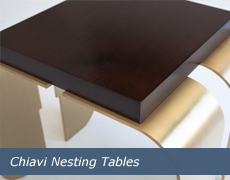 A single base can be stretched or shortened for a variety of table lengths. With two bases, the possibilities are endless (as shown here at 16’ in length). Light filters through a reveal detail at the top and legs for a dynamic spatial composition. 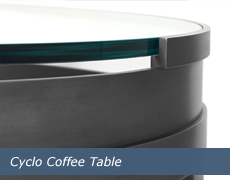 Please inquire about additional finishes, base configurations and top material options.